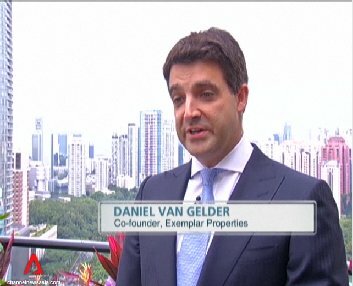 Daniel Van Gelder, Exemplar Properties: "The first allocation was sold out within three days in Hong Kong." While tenants in the City of Westminster are struggling to pay their rent in the face of rising property values and housing benefit caps, luxury apartments due to be built on a plot in Fitzrovia are being sold off-plan in Hong Kong and Singapore for up to £8,500,000 a piece. Channel NewsAsia Singapore, an English language Asian TV News channel, reported on Thursday that developer Exemplar which this year received planning permission to build on the site of the former Middlesex Hospital was selling apartments at Fitzroy Place for "between 605,000 pounds and 8.5 million pounds". UK buyers are currently being offered 2 and 3 bedroom apartments for between £1,720,000 and £3,850,000 and car parking spaces for an extra £75,000 each. These will be the highest price per square foot ever achieved for property in Fitzrovia. Permission was given for the development in February after City Hall’s planning committee agreed to a contribution of affordable housing provision, amounting to 17.4 percent of the total residential floorspace on-site plus £5.94m towards the City Council’s affordable housing fund. Planning policy normally requires that 25 percent of the apartments should be affordable housing, but a larger contribution of affordable housing was rejected by Exemplar who argued that it was not viable to provide any more. Westminster’s planning committee agreed. Westminster Council are now being criticised for letting the developers get away with so little affordable housing when the private apartments are being sold for such huge sums of money. The Charlotte Street Association and Fitzrovia Neighbourhood Association who argued for more affordable housing on the development site say that Westminster Council has allowed Exemplar and the consortium to, in effect, take money that should have gone towards Westminster’s housing needs. With the large amount of money being paid for the apartments even before they have been built, Westminster Council should have demanded the full 25 percent quota of affordable housing on the site. At the planning meeting in February, councillor Jonathan Glanz did raise the issue of viability and asked that the planning committee review the affordable housing contribution in light of rising property prices during the construction of the apartments. But his request was rejected. City of Westminster has a huge housing problem and the new leader of the council Phillippa Roe has said that those who are unable to afford the rising rents in the City should move out of the borough. “Even if people do have to move, they don’t have to move very far – Camden, Brent, Southwark, Lambeth are on our doorstep and there are properties in those areas beneath the cap,” she told the Guardian in March shortly after being elected leader. But property prices in neighbouring Camden are nearly as high as Westminster and many residents who rent are facing the prospect of having to leave the area. The site of the former Middlesex Hospital has attracted controversy ever since it was closed and sold off by UCLH NHS Foundation Trust in 2005. The site was acquired by the Candy brothers but their hated Noho Square scheme failed due to the banking crisis. The land was then bought by the Icelandic Bank Kaupthing. 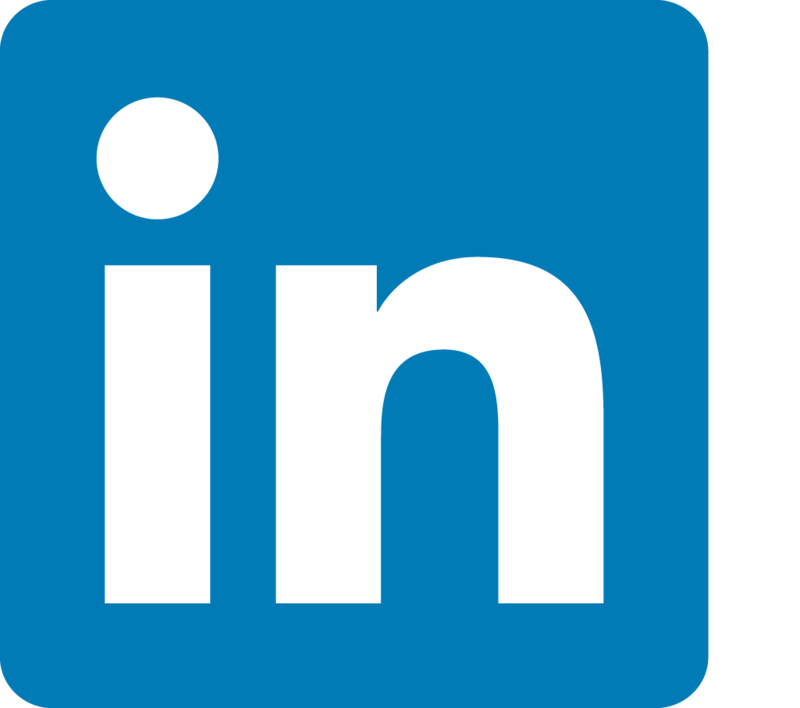 It was eventually acquired by the current owners, a consortium of Aviva Investments and Exemplar. The development now being called Fitzroy Place was given planning permission in the face of huge opposition from people living around the site. 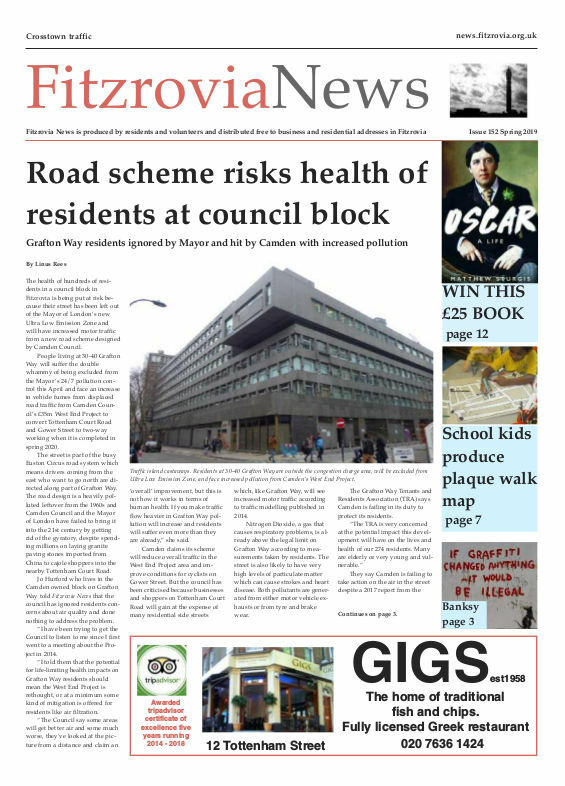 Parents from the local school wrote a letter of petition to Westminster City Council objecting to the height of the 11 storey building and residents in Cleveland Street objected to a service yard opposite their homes. Report and video from Channel NewsAsia.